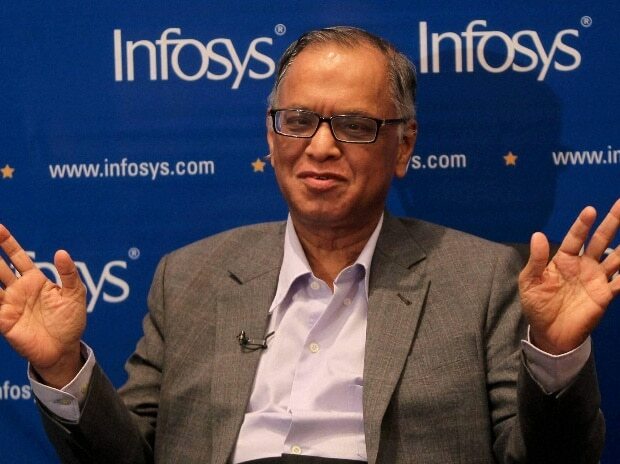 Infosys founder Narayana Murthy called for transparency of independent directors and chairmen of companies towards the shareholders and regulators to ensure good governance and compliance to the laws of the land. “Good governance is about representing shareholders faithfully, doing everything possible to increase shareholder value legally and ethically, and enhancing the reputation of the corporation. It is about ensuring that every law of the land is fully complied with. Remember that your accountability as an independent director is only to your shareholders and the regulators”, Murthy said at the 54th Convocation at IIM Calcutta. According to Murthy, independent directors and chairmen of companies cannot be party to selective disclosure to just any group of shareholders including the founders and they should not leak classified board information to the media. O the role of such portfolios, he advised, “It is about recognizing risks in every function and in every decision and mitigating them through debates, systems of control, and timely review and action in the boardroom. It is about proper succession planning. It is about holding the management responsible to be fair, honest, efficient, transparent and accountable to every stakeholder of the company”. Moreover, he said that CEOs should not put pressure on the board to obtain disproportionate direct or indirect pecuniary advantage for himself or herself or for his or her family, friends and cronies to the exclusion of fair compensation for other employees. “It is about understanding the nuances of the industry and the intricacies of the business model. It is about not being mute spectators in board meetings when the CEO informs the board about his or her decision that is questionable and unethical. It is about questioning deeply and seeking truth by getting into the details of critical transactions without being overawed by the jargons and the charm of the CEO. It is about disagreeing without being disagreeable in the board room. It is about not abdicating governance to ill-informed, greedy law firms and seeking their approval for even opening one’s mouth in the board room”, he said in his address. He upheld the rights of the shareholders to ask any question and the board members should desist from judging if the question raised is appropriate or not. On how to earn the respect as an independent director and as the chairman of a listed company, Murthy said before taking any decision, one should ask his or her conscience and whether that decision will enhance respect for the company from the shareholders and the society. Addressing the Convocation, Murthy said, “Those of you who will join the government would do well to remember the famous, age-old Hindi saying - “Jis desh mein sarkar vyapari hojata hein, us desh mein log bikari hojate hein (In a country where the government becomes a businessman, the people of that country become beggars)!”. He opined that governments which proclaim to the adage of ‘Minimum government, maximum governance’ should resist the temptation of getting into business. “Your first duty as a civil servant is to be an impartial regulator and to remove all bottlenecks to honest, smart, innovative and law-abiding entrepreneurs in their quest to create a large number of jobs with good disposable income, and to create aspirational wealth for themselves. Your duty is to ensure that tax collection is maximized through a fair, transparent, honest and hassle-free process for both individuals and corporations. It is to use that tax money efficiently and fairly for public-good purposes”, he concluded. For the first time, IIM-C awarded Master of Business Administration degrees instead of Post Graduate Diploma in Management and Doctor of Philosophy instead of Fellow Programme in Management.